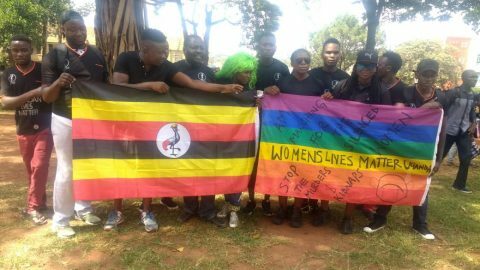 On Thursday 8TH March 2018 LBQTransgender men in Uganda under their different organisations Freedom And Roam Uganda(FARUG),The Taala Foundation,FEMA Alliance,individuals came together and celebrated the International Women’s day. Our day started with a fitness training and a basketball tournament at Namboole National stadium to press for progress in wellness amongst LBQ women.Later on we emerged at FARUG shared a meal and celebrated individuals,organisations and their achievements as the LBQ movement despite shrinking spaces both in the LGBTI community and the women movement at large. HAPPY INTERNATIONAL WOMEN'S DAY 2018DO YOU KNOW YOUR SEXUAL RIGHTS?